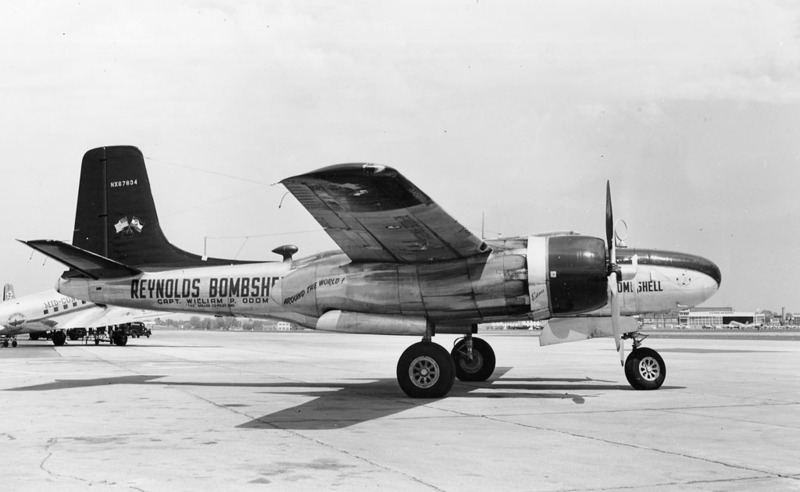 Douglas B-26B N67834 44-34759 "Reynold's Bombshell". Pilot names on aft fuselage are Capt. William P. Odom and co-pilot/engineer "Tex" Sallee. Photographed at Minneapolis, MN by Bob Stuckey, date unknown.